Oslo University Hospital (OUH) celebrated on Tuesday October 28th this year's research funding from the Norwegian Cancer Society (NCS). Talks were held by cured ex-lymphoma patient Ulf Prytz and scientist Hege Russnes. OUH general director Bjørn Erikstein and head of the Divison of Cancer Medicine, Surgery and Transplantation Sigmund Smeland thanked the NCS on behalf of the hospital. The projects granted support were announced by secretary-general in NCS Anne Lise Ryel. 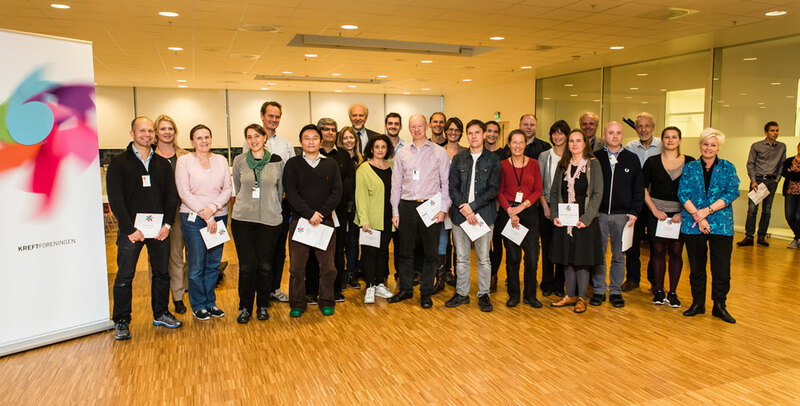 OUH received in total 69,2 mill NOK, distributed between 42 scientists.